I awoke more inspired today even though it was still wet and cloudy. I realised that later that day I would arrive in Saint Jean Pied de Port! That was the final destination for many on the Via Podiensis, but for me it was the half way point to Santiago de Compostela. I had slept well even though I had been awoken several times by the heavy rain pelting the caravan during the night. The Way soon rejoined the GR65 and the rain continued. It was not until Ostabat that the sun re-appeared. 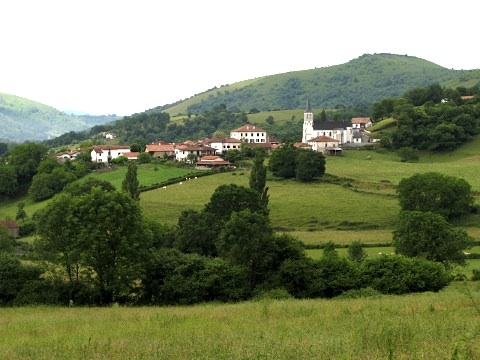 The village of Ostabat was in traditional Basque style with bright white houses and flower covered maroon balconies. It had been an important meeting point in the past as many of the pilgrim routes merge here. This was a lovely village and I stopped for a coffee. I am glad I did; it was the best cup of coffee on the Way so far (‘Cafe Traditional Blend’ I was informed by the lady in the Bar Elisseits-Multiservices). Soon after was a large farm where I chatted to the farmer’s wife for a while. She had a friend who visited every year from Scotland. 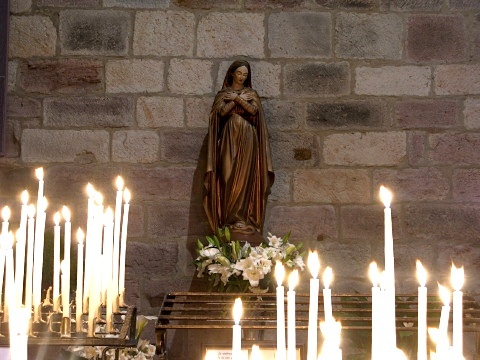 She wished me well on my journey to Santiago. At the top of the hill soon after was a notice announcing that I had arrived in the municipality of Saint Jean Pied de Port. The Way veered off to the left but I continued along the main road as it was considerably shorter. At Saint Jean Le Vieux I stopped at Bar Sotua and had my favourite lunch of ‘Parmentier’ sardines in olive oil and fresh bread. 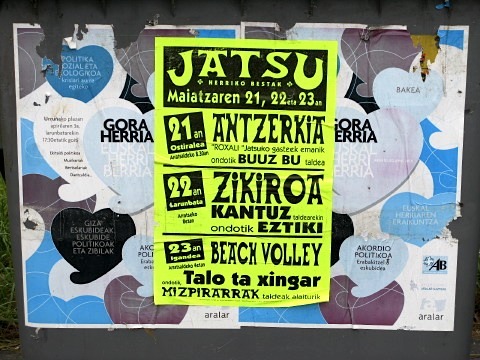 All the locals were speaking in Basque and indeed it is a completely different language to the languages of France and Spain. There seems to be some mystery surrounding the origin of the language. Nobody could give me a definitive answer regarding its origins. Mid-afternoon I arrived in Saint Jean Pied de Port. There were coach tourists everywhere. As I approached the Pilgrim office to ask about accommodation, some of the tourists started taking photographs while exclaiming ‘look, a pilgrim!’. Modern versus ancient tourism? I met Deidre from Canada again and later we ate and chatted together in the small kitchen of the Accueil Pélerin. There were many new faces. 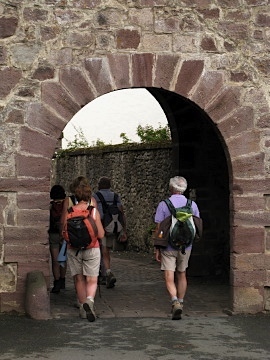 Many were starting their walk to Santiago in Saint Jean Pied de Port and were chatting excitedly about the adventures to come. The old lady running the refuge appeared and reminded everyone to be in bed by 10pm. The door would be locked at exactly that time and said that we would be locked out after that time. She added that we all needed our strength for tomorrow’s difficult walk to Roncevaux. She was stern but giggled a lot. After a quiet stroll round town, I made sure I was back by closing time. 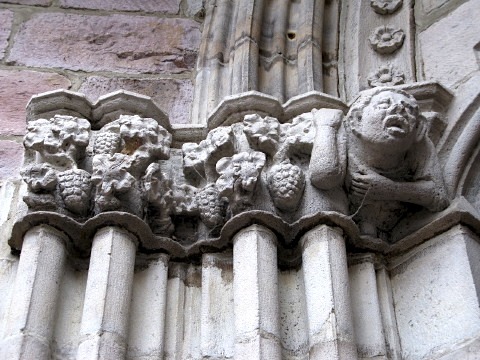 This entry was posted in From the Way and tagged Saint Jean Pied de Port, Via Podiensis, Way of Saint James, Week Five. Bookmark the permalink. Post a comment or leave a trackback: Trackback URL.